I am now the proud somewhat sheepish owner of an iPhone 6s+. It all began when my wife, Jan, broke her iPhone 5. 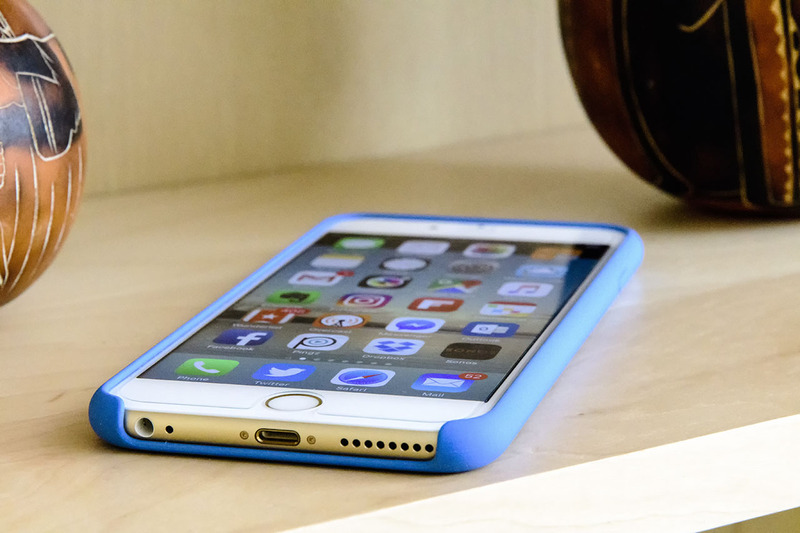 The aging iPhone 5 had already been acting finicky, including shortened battery life. It also would sometimes fail to issue an audio tone for notifications, causing her to miss text messages. We initially thought she’d just left it in “do not disturb” mode, but it also happened with the phone in full-on ring mode. So we decided to get her a phone. We’re on AT&T, and she’s clearly ready for an upgrade. We’ve got a family plan through her old employer. Since she had the 5s, and had made approving comments on a number of occasions about the small form factor, I initially thought one of the new iPhone SEs would be perfect. During the conversation, she asked me if I wanted an upgrade (I’ve got a a standard iPhone 6). I said no, I could wait, but when it was time to upgrade, I’d probably go for a 6s+ or 7+, or equivalent larger phone. What you should know is that when the original iPhone 6 came out, I believed it to be the perfect form factor for my somewhat short, stubby fingers. I could certainly see the utility of a larger phone, but didn’t really consider it at the time (though the optical stabilization in the bigger model filled me with camera envy). Over time, though, the iPhone 6 started to feel just a little bit constrained. I found myself wishing for more screen real estate, and a little more battery life. My needs, wants, and desires had evolved. So that’s how it happened. I resisted a bit longer (no, really, I did), but gave in. Note that AT&T only sell iPhones on their Next rent-to-own plans, which would have cost us another $32 month (roughly). But since we used Jan’s upgrade cycle, and her phone was on the old plan, AT&T reduced her monthly usage fee by $25. So the net cost of the 128GB iPhone 6s+ came in at $7 per month. We placed an order over the phone (old school, I know), which meant the new phone would arrive in about a week. Then we got the terms and conditions email, which listed an iPhone 6s+ and a “LG G Pad” — which we certainly didn’t order. I’m not quite sure what happened, but given the complaints about the system from the first sales rep, I’m guessing user error rather than anything malicious. Another call to AT&T resulted in a cancelling the whole order, and placing a new order for the iPhone — plus free expedited shipping. So instead of taking a week, the phone arrived the next day. I dutifully backed up both my iPhone 6 and Jan’s iPhone 5 to iCloud. Then I ran into another wrinkle: two-factor authentication. Two-factor authentication increases security. It also increases frustration levels, especially when it doesn’t work as intended. During the activation process, the phone asked me for my iCloud password, which I dutifully supplied. iCloud dutifully sent a text message with the two-factor passcode… but the old phone had already been deactivated, and the new phone still in LTE limbo. I initiated a chat session with Apple support… and then the iPhone 6s+ activated on AT&T’s LTE network, automagically loaded the iCloud passcode, and took me to the next step. Crisis averted. Getting the old iPhone 6 going with Jan’s old SIM card proved a piece of cake, with no activation glitches. So now we’re both happy and both of us have bigger, easier-to-read phones. So why do I still feel just a tiny bit embarrassed? Can the GTX 1080 Compute? Eric’s Excellent VR PC Build, More Nikon, and Kublacon!